The BBs scatter and ricochet in an empty mausoleum crypt like a kindergarten class bursting onto a playground. They move quickly, bounce off each other and stop in random spots. The cylindrical BB shape makes for a perfect tool to move a casket easily in the tight space. They roll with ease beneath, keeping the bottom from scraping along the concrete interior as it’s pushed into place. I thought of the way we used BBs at the cemetery when I read last week about Crystal Bridges Museum of American Art in Bentonville using them to weigh down art displays. Most museums use elevator weights made of cast iron, sand or lead shot for anchoring their display cases. But Crystal Bridges is taking advantage of a local resource in the Daisy BB company, and is better off for it. There are no health concerns and moisture issues, and they’re cheap. Daisy has donated about 6,000 pounds in defective BBs for anchoring the display cases. The museum, according to the article, moves the BBs into bags from big blue 55-gallon barrels. We bought BBs in small cardboard tubes and had a lot less hassle in using them to serve our need. But they seem to be the perfect tool for either use. A typical empty casket can weigh 200 pounds or more, and the opening in each mausoleum space is made with little room to spare. Tandem units that allow two burials end-to-end in one mausoleum crypt mean the first burial has a long way to go. There could be a lot of scratches and damage to a costly casket holding precious cargo without the aid of the simple BBs. Crystal Bridges hosts hundreds of people daily. They gawk and stare, and move around the museum’s many display cases that manage to stay in place, keeping their precious cargo stable with the help of those same simple BBs. 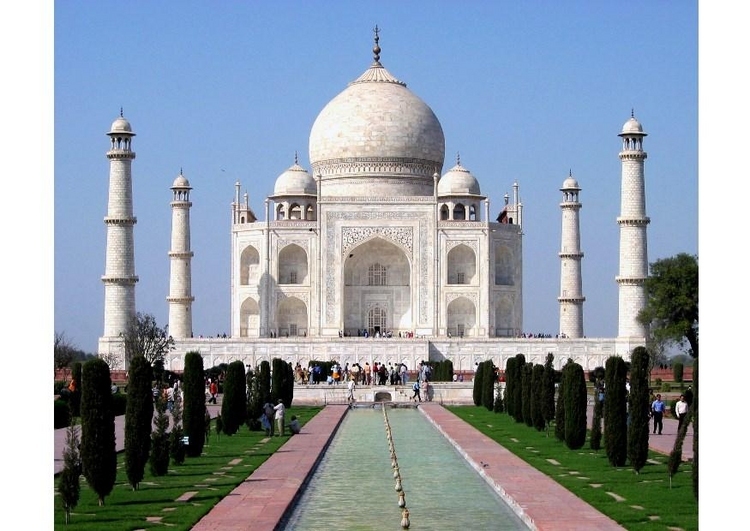 I have to wonder how the emperor Shah Jahan would have used BBs in the 17th Century when moving his wives into the Taj Mahal, the world’s greatest and most beautiful mausoleum. All he had was some little ole elephants. This entry was posted in Uncategorized and tagged 55-gallon barrel, Alice Walton, BBs, Bentonville Arkansas, Casket, Crystal Bridges, Crystal Bridges Museum of American Art, Daisy BB, Display case, elephants, kindergarten class, Mausoleum crypt, Museum, Taj Mahal by Lori Ericson. Bookmark the permalink.